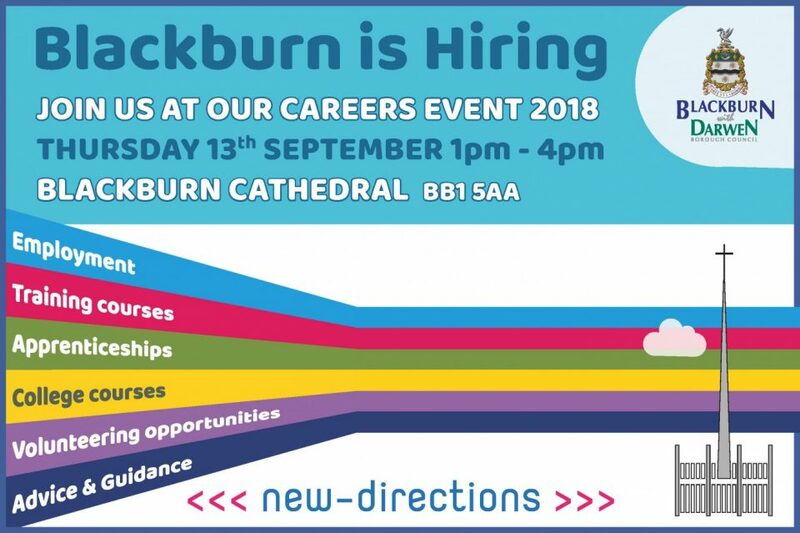 Called ‘Blackburn is Hiring’, the event will take place at Blackburn Cathedral on Thursday, September 13. The event will run from 9.30am until 4pm and is open to visitors of all ages from age 15 upwards. Exclusive use will be given to schools up to 1pm after which the event will be open to all ages. Along with a large number of employers representing a variety of sectors, post 16 learning and training providers will also be present. In total, 100 exhibitors will fill Blackburn Cathedral and many will offer a ‘hands on’ experience of a rich variety of employment opportunities, including apprenticeships. A number of short workshops will also be on offer, aiming to support people in the recruitment process, and to raise awareness of the wide range of job opportunities in specific sectors. The event has been organised by Blackburn with Darwen Borough Council’s New Directions team with support from colleagues at Blackburn College, the Department of Work and Pensions and Cummins Mellor Recruitment. People of all ages can come along to this event – whether you want to re-enter employment, retrain, or just chat to people about new opportunities. I hope as many as possible can make it. Blackburn with Darwen is on the up in terms of business coming to the area and they are employing more people all the time. This is a great chance to meet some of them and help to give your career, training or further education a real boost. Businesses across many sectors will be represented, from leisure, construction and engineering, IT, finance, legal, transport, retail, public sector, creative industries, manufacturing, education and training providers to the community and voluntary sector. To register for this event please visit Eventbrite now.